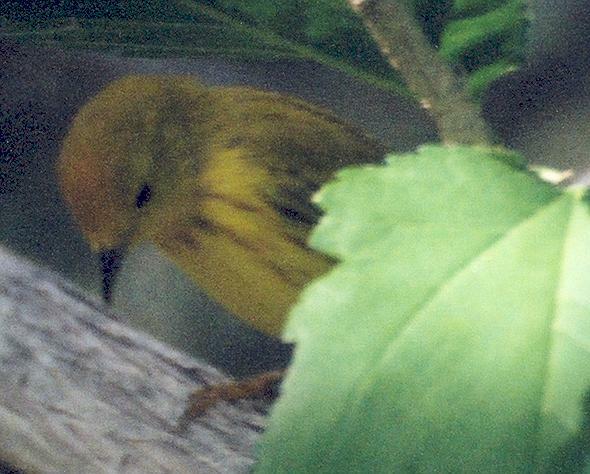 You may click on these small pictures to see the full, more detailed versions. 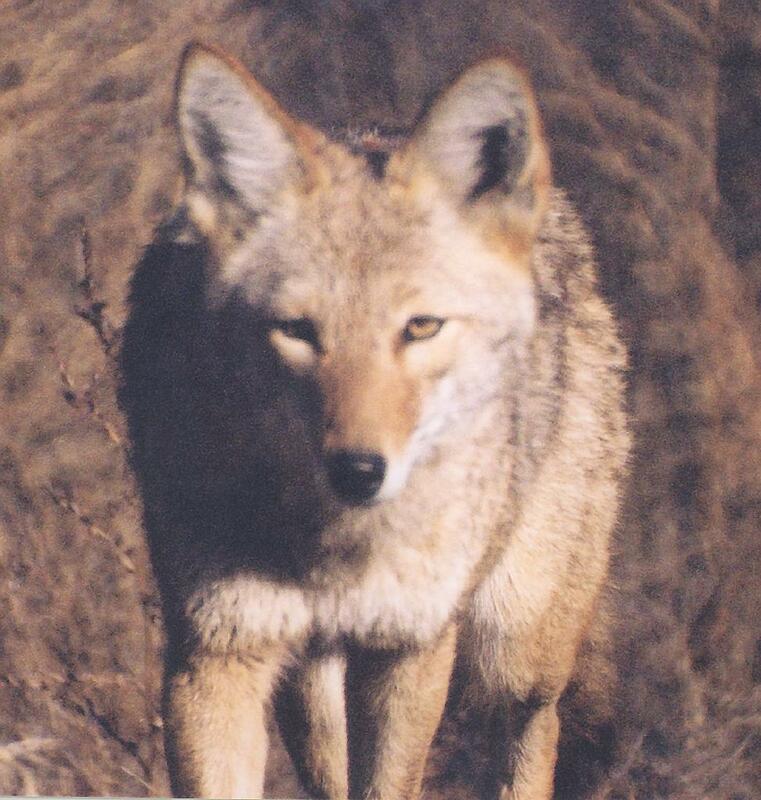 Most viewers put a line around the pictures that are clickable. 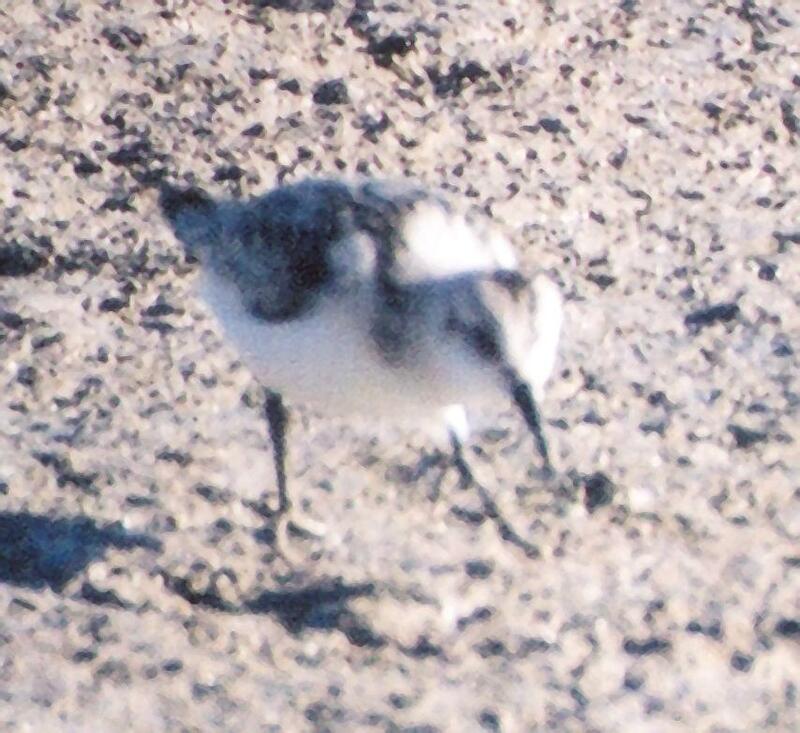 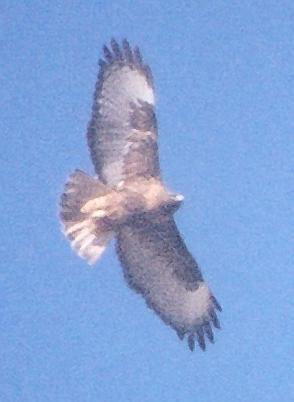 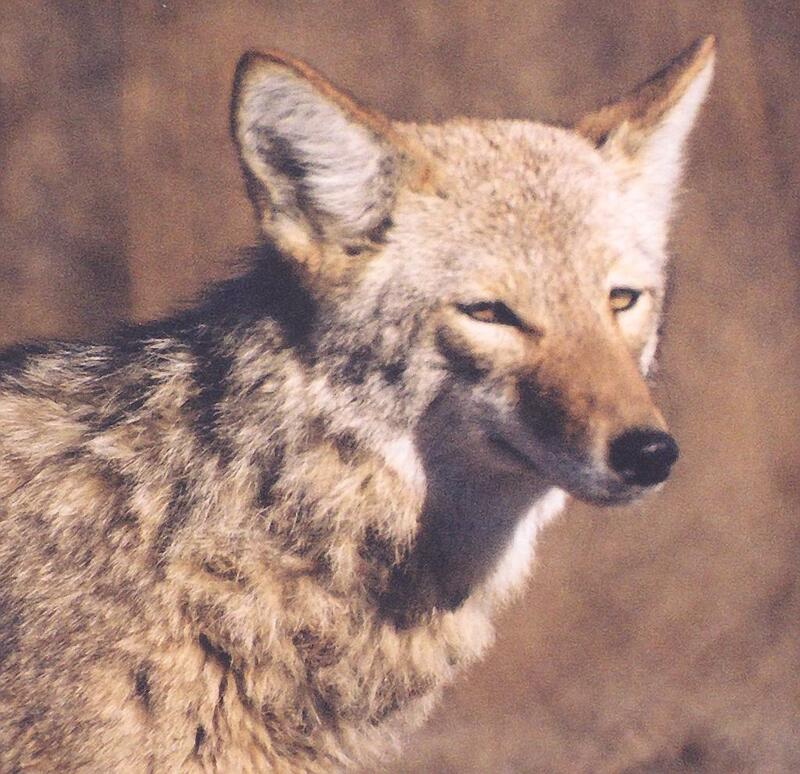 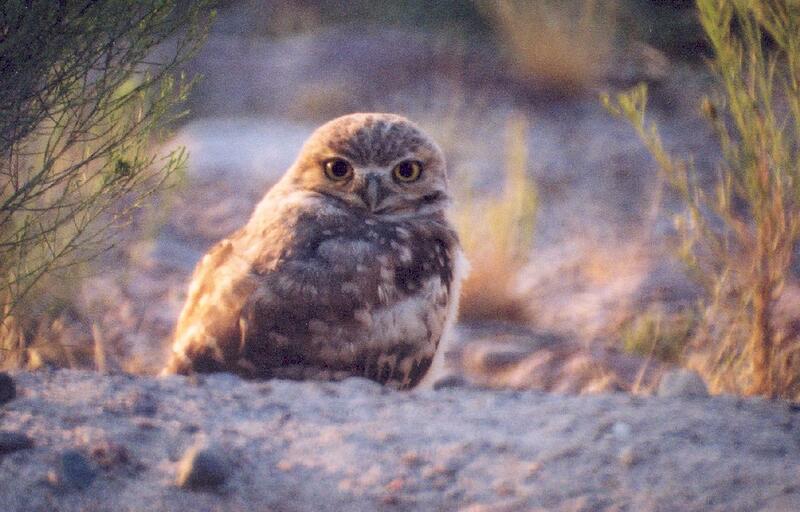 Brazen coyote, darker Red-tailed Hawk, Bosque del Apache NWR, December 12, 2004. 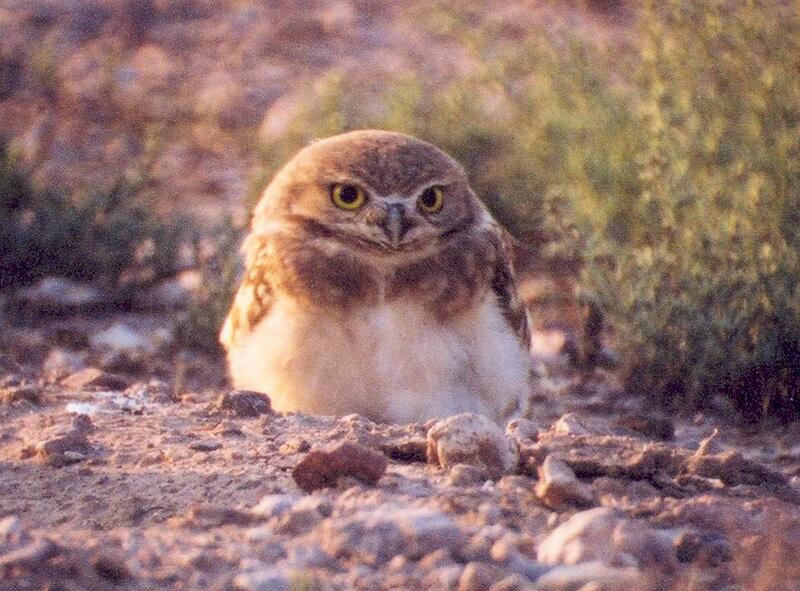 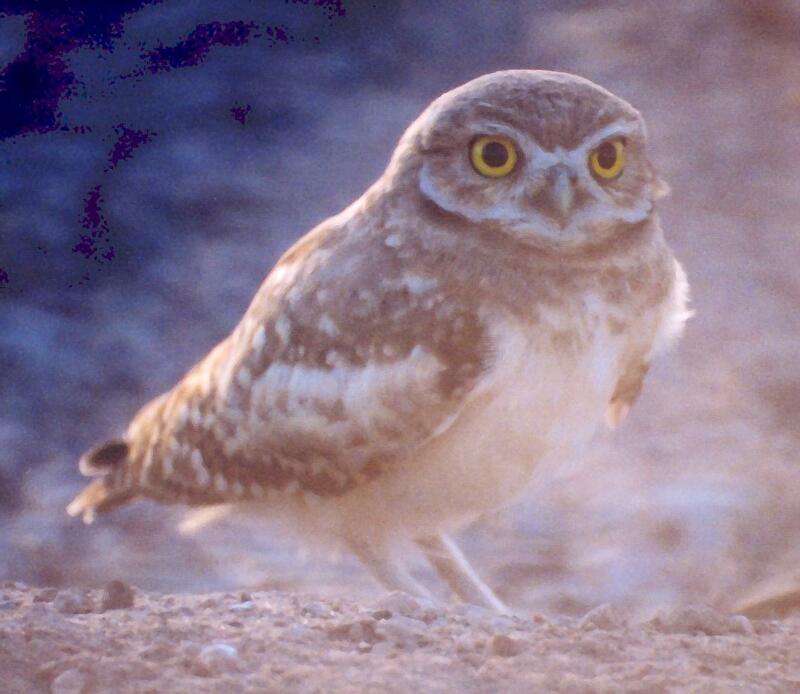 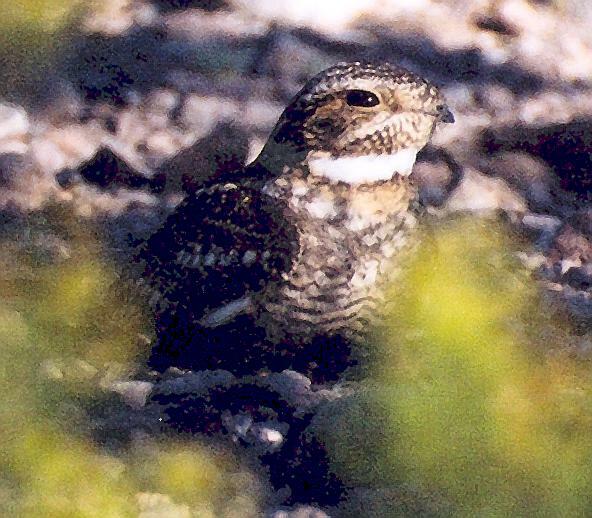 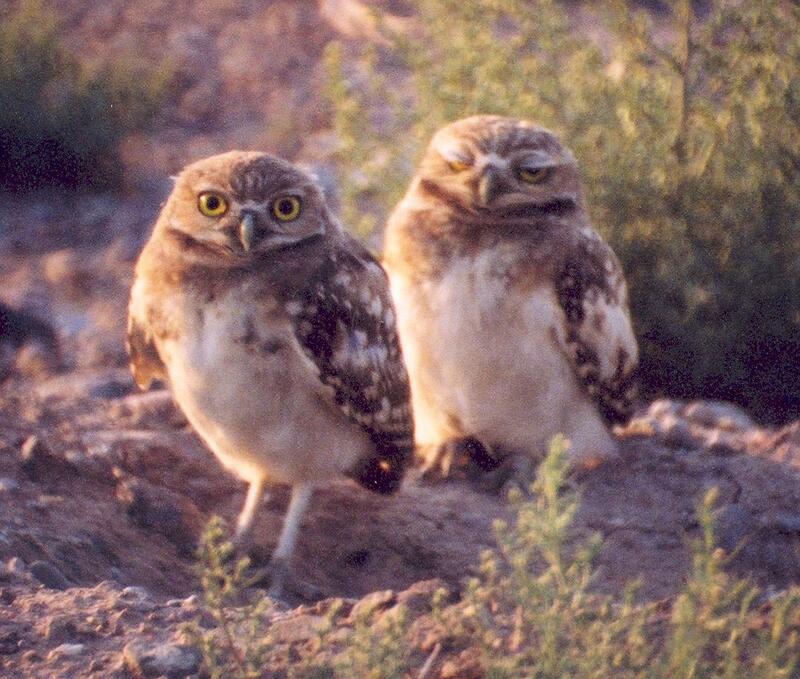 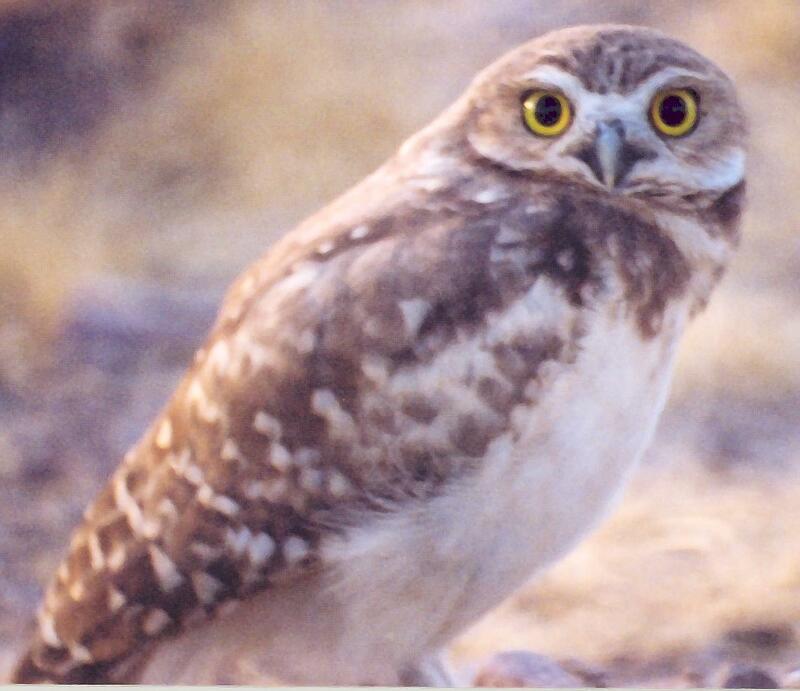 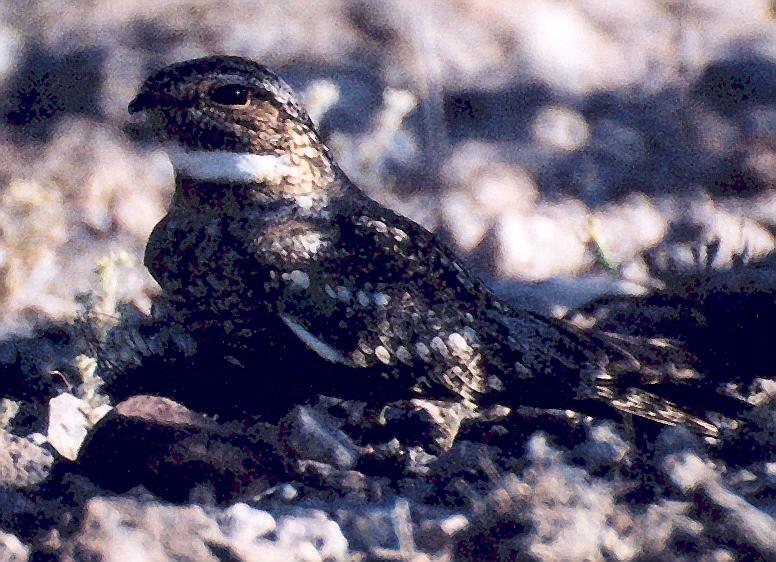 Burrowing Owl, Socorro, June 19 and July 3, 2004. 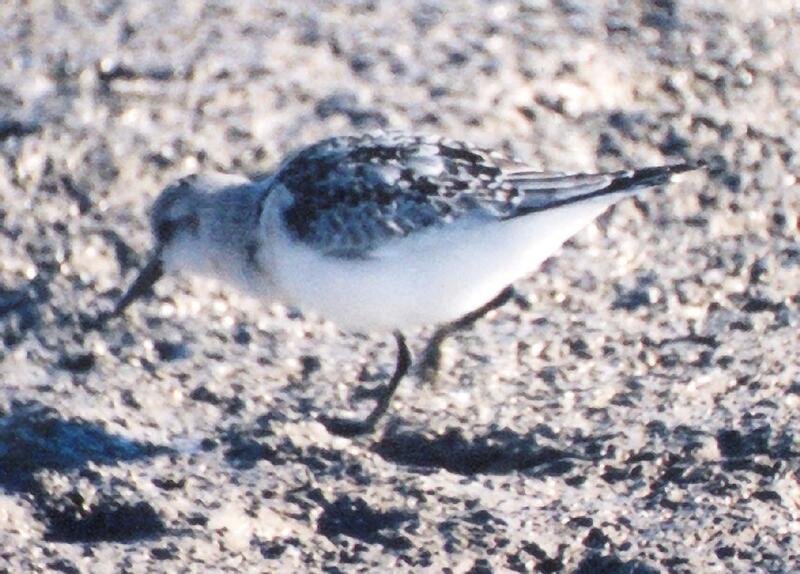 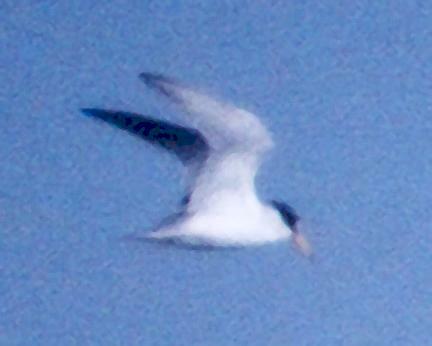 Least Tern, Bosque del Apache NWR, June 19, 2004. 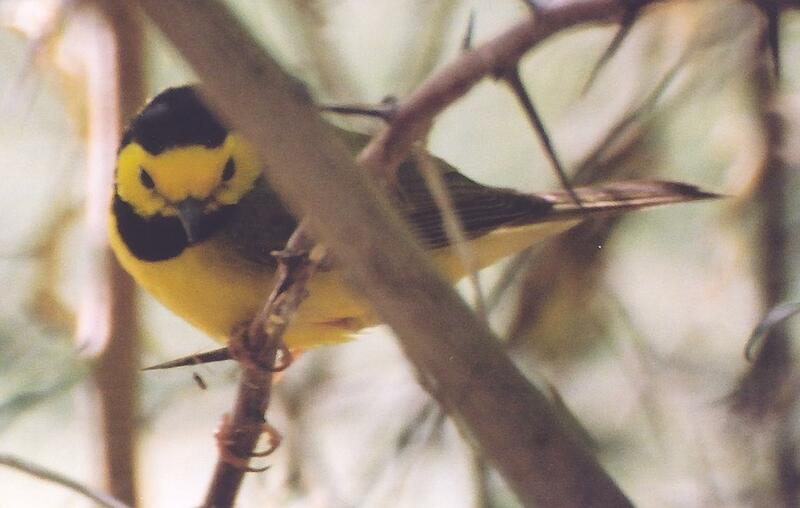 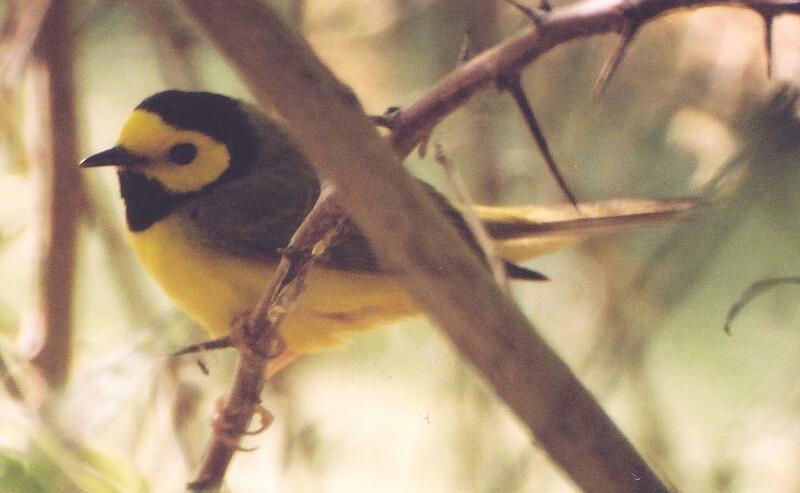 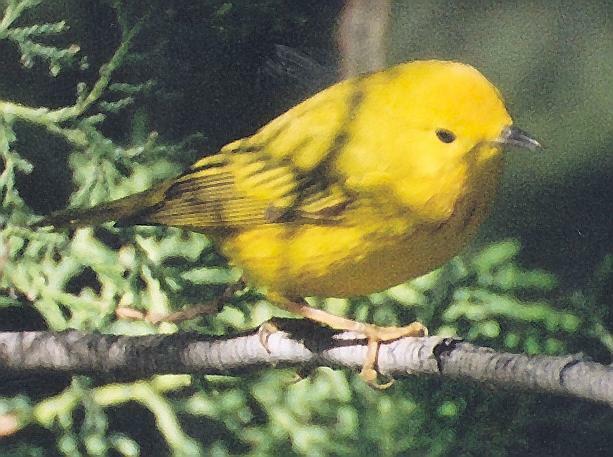 Yellow Warbler, Turtle Bay, Socorro, May 8, 2004; Lesser Nighthawk, Canyon Trail, Bosque del Apache NWR, May 16, 2004. 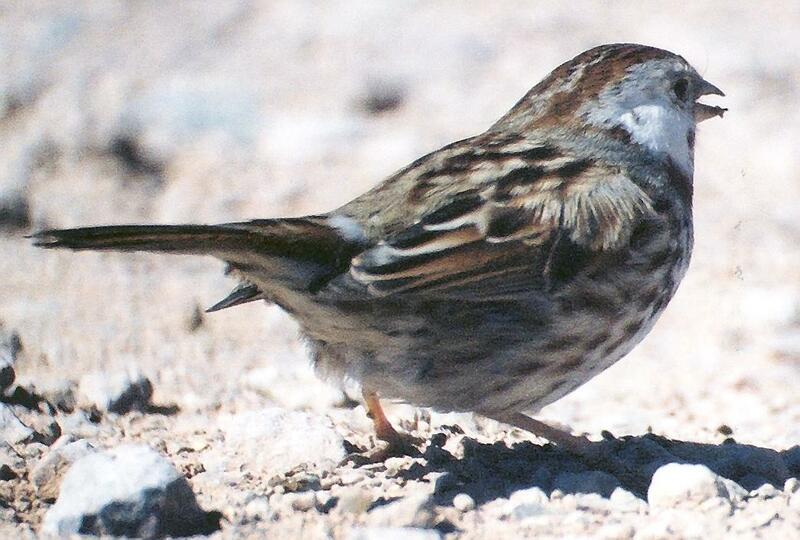 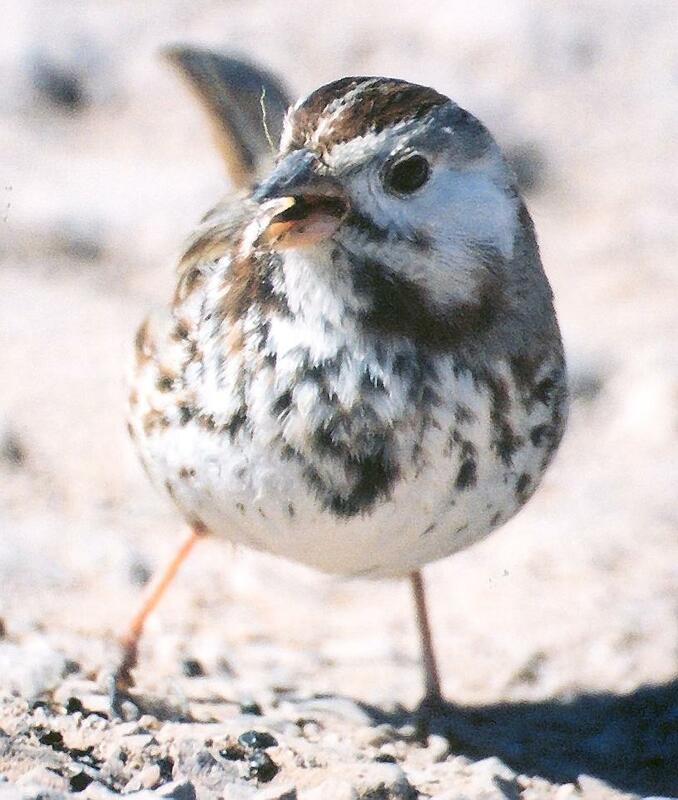 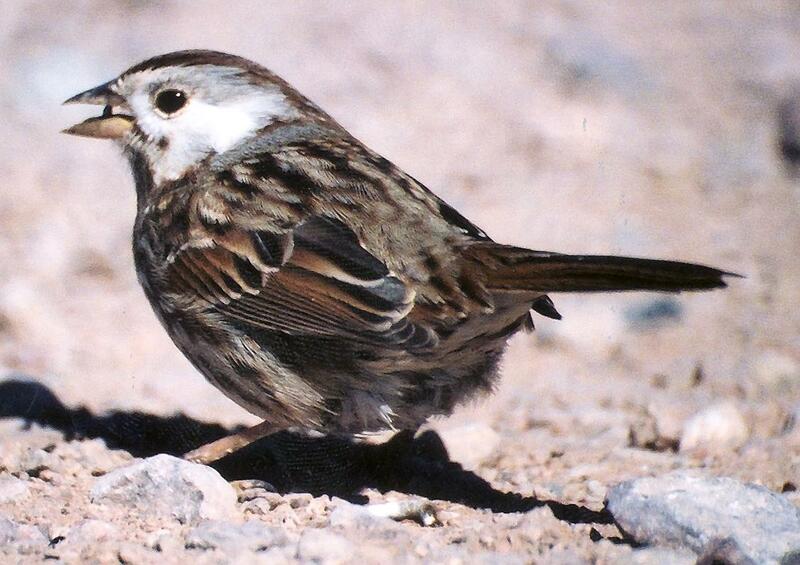 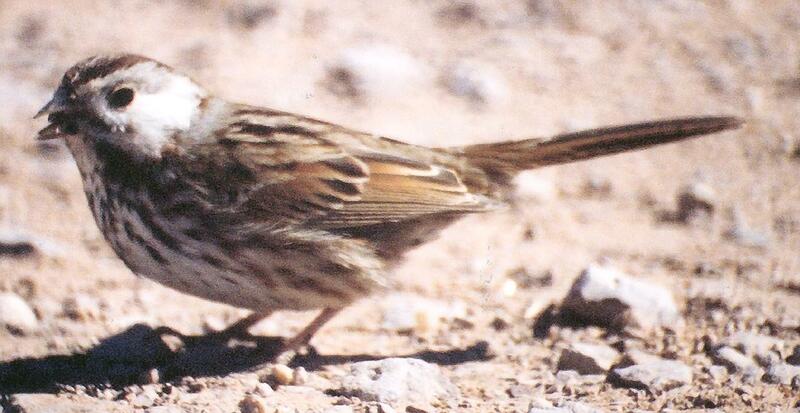 Mystery sparrow - White-cheeked Song Sparrow, Bosque del Apache NWR, February 16, 2004. 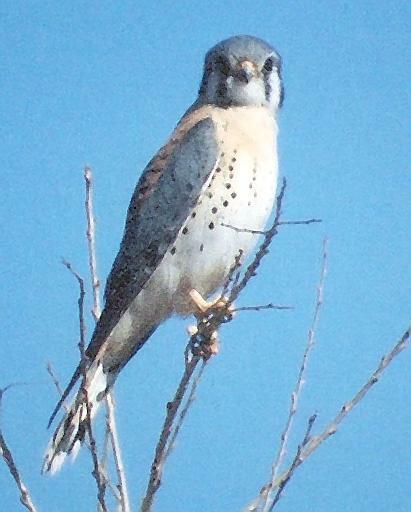 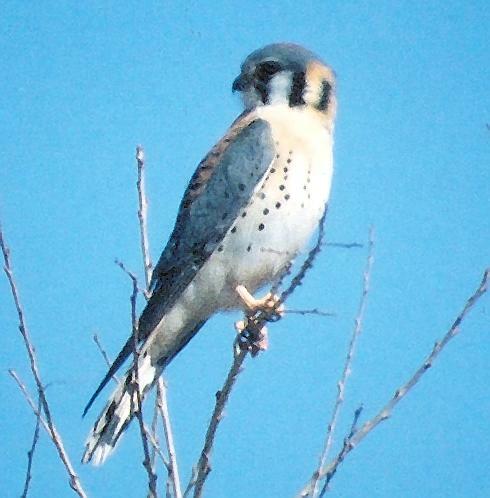 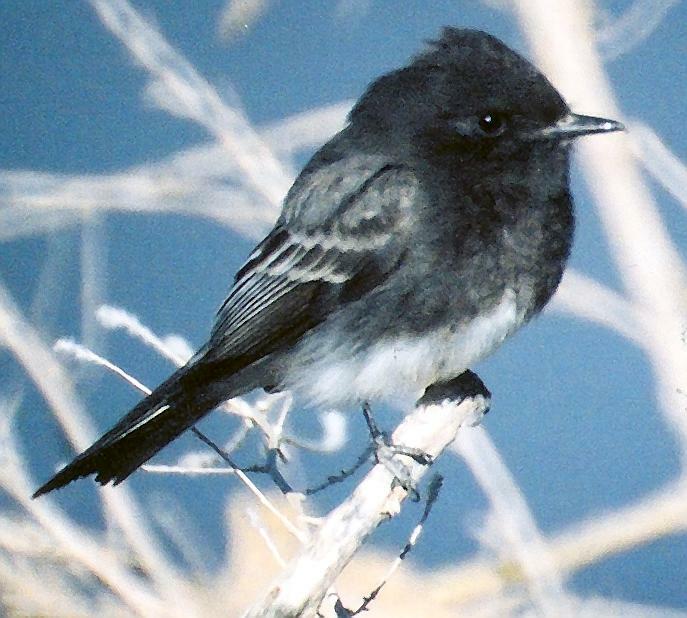 Black Phoebe and American Kestrel, Bosque del Apache NWR, February 16, 2004. 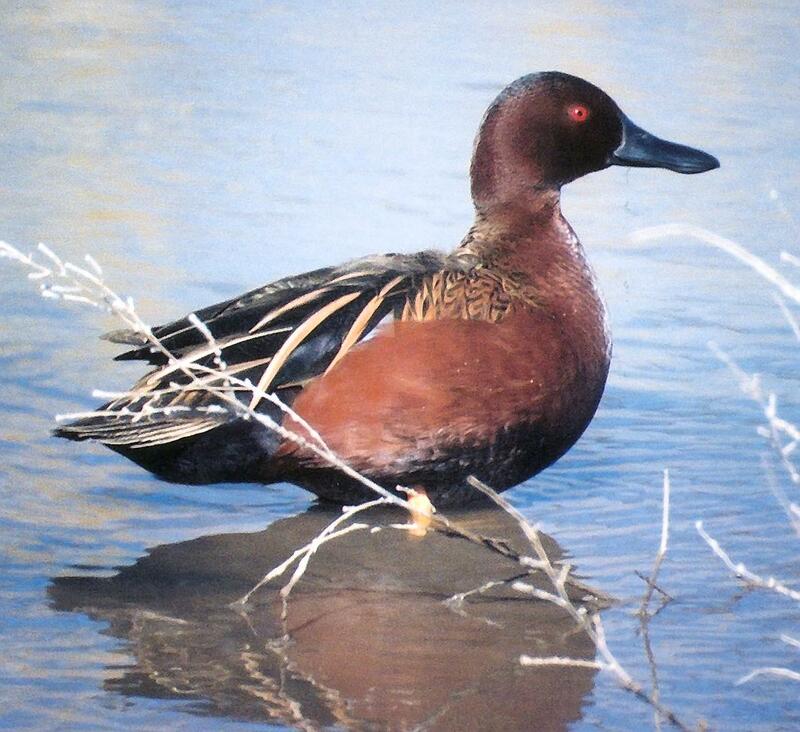 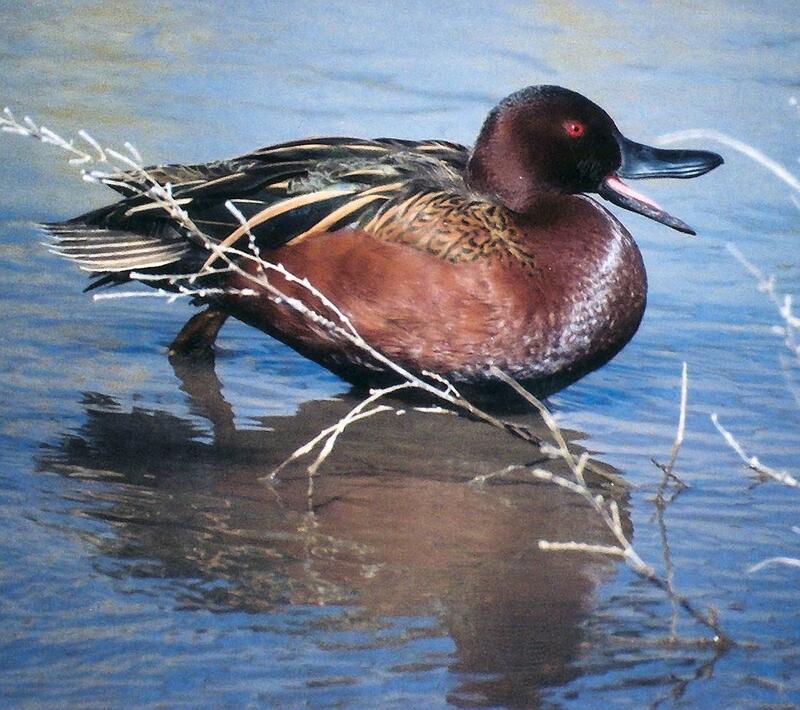 Cinnamon Teal, Ring-necked Duck pair, and Common Mergansers, Bosque del Apache NWR, February 16, 2004. 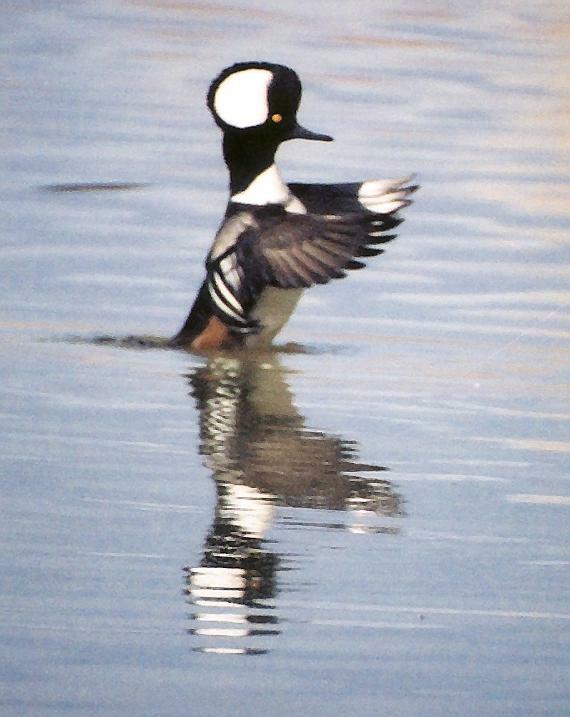 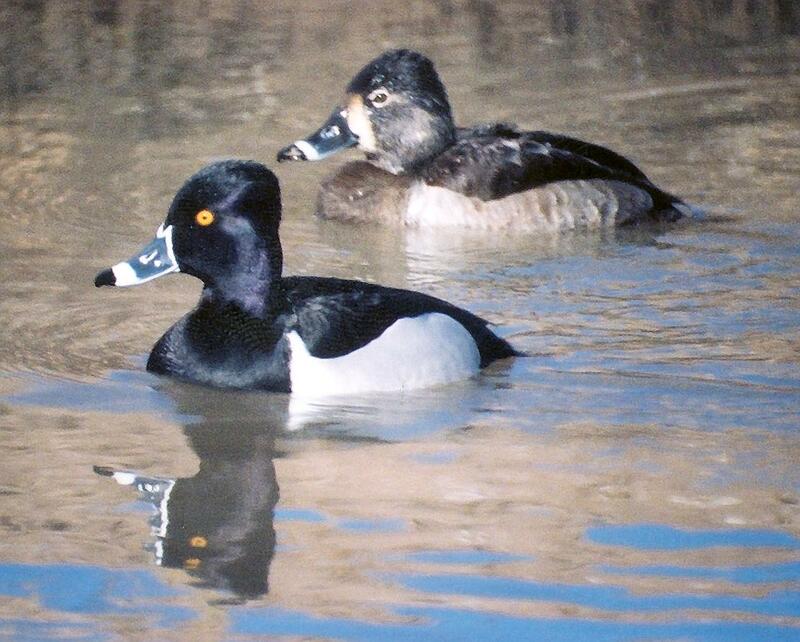 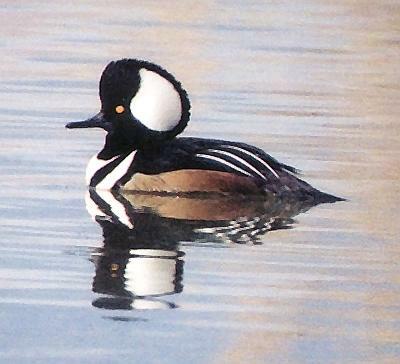 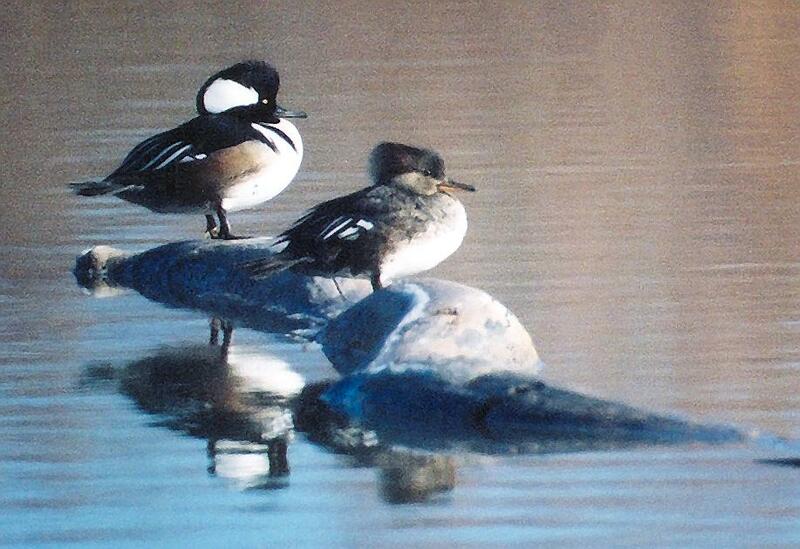 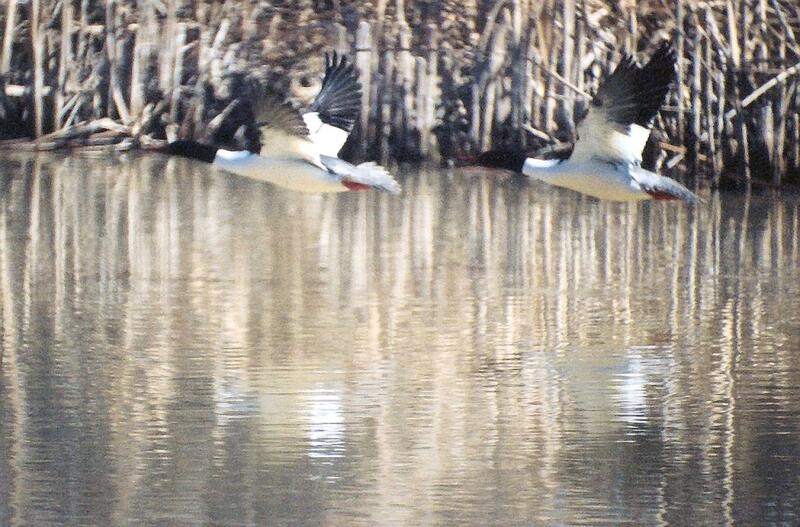 Hooded Merganser, Bosque del Apache NWR, December 25, 2003 and February 16, 2004 (right). 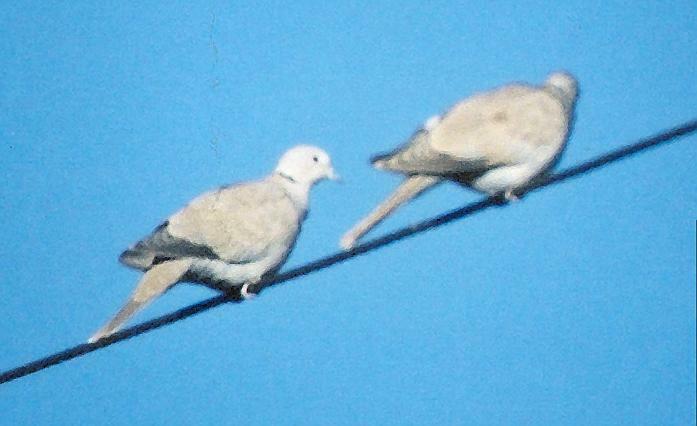 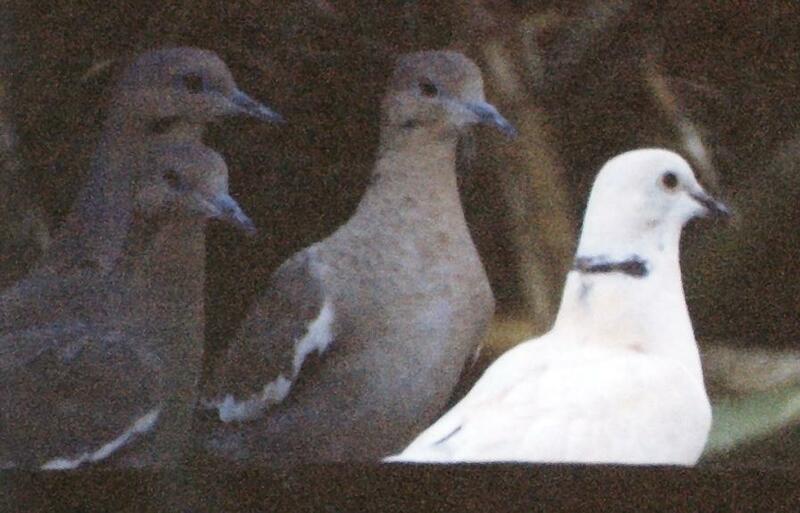 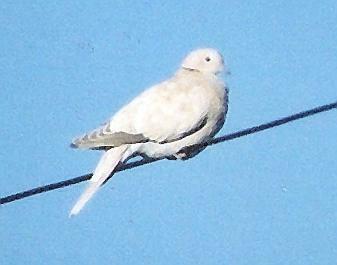 Eurasian Collared Dove (left), possible Ringed Turtle Dove (right), near train station, Socorro, NM, October 26, 2003. 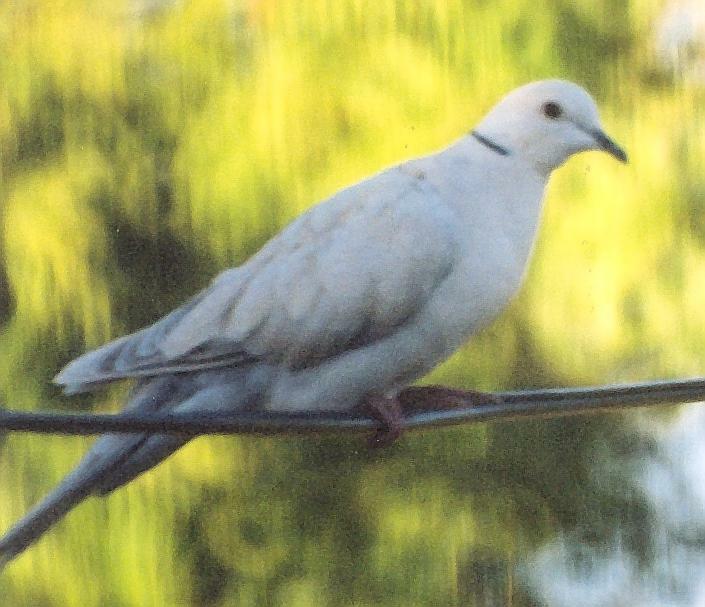 Ringed Turtle Dove (seen up close to be just smaller than adjacent White-winged Doves), my back yard, Socorro, NM, October 2003.